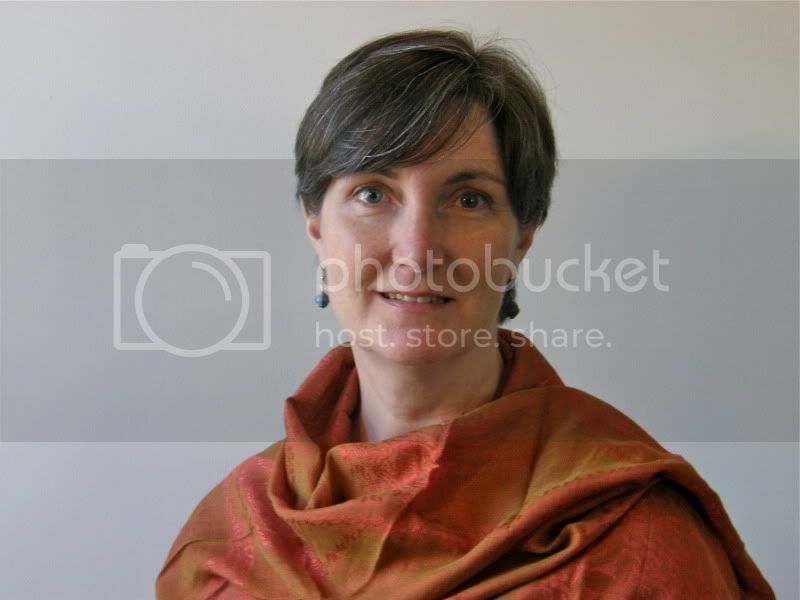 Katherine Lucey is the founder and CEO of Solar Sister, an organization aiming to reduce energy poverty by empowering female entrepreneurs to sell innovative solar technologies in their communities. She has extensive knowledge of both the for-profit and not-for-profit sectors and is an Ashoka Changemaker and serves on the board of Solar Light for Africa. PDT: So we’re very big Solar Sister fans at PDT. I know you’ve written about the ‘myth of the Eureka Moment,’ but how did this develop? SOLAR SISTER: Solar Sister started as the result of a long process. 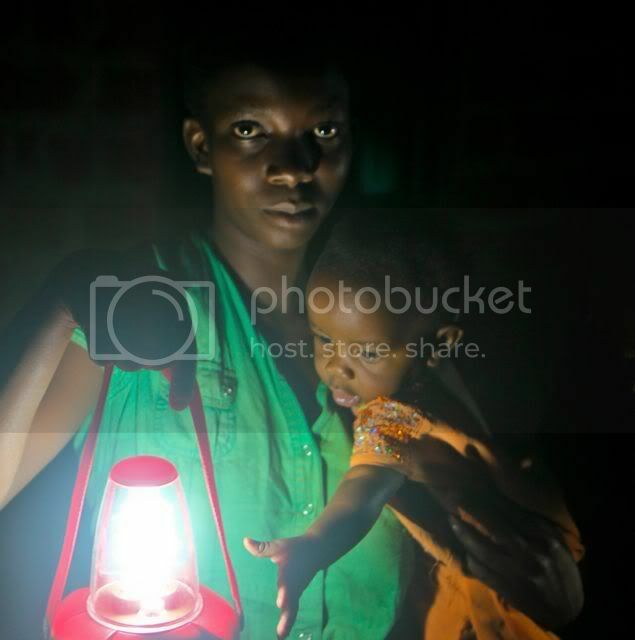 I was working in East Africa with a small family-based foundation that was doing solar installations in Africa for schools, clinics, and village homes and through that I saw the incredible transformational power of solar light for people who don’t have access to grid electricity. In the home and family’s lives it’s fundamental to change and so that’s why I was doing that work and was really touched by it. I also saw some of the big challenges, an assortment of challenges: the philanthropic model, where you’re just gifting solar technology to a family that has no real other access to technology; the gap between the technology and the comfort level with it was just too big. There’s that issue of ownership, when you just show up at somebody’s house and throw a solar panel on the roof and then you leave and there wasn’t a good infrastructure [or ability at the family level] for service or ongoing maintenance. So there was a lot of failure of systems and then a big gap that I saw was that solar technology, when it’s rolled out everybody wants to be part of it, but everybody includes all the men and the children of the village, and when you look around and really pay attention to who this ‘everybody’ is, it’s like “where are the women?” And the women are all doing what women do: they’re fixing dinner, they’re collecting water, they’re out collecting wood, they’re taking care of the children or the garden, and so they weren’t part of this big effort to bring solar to the village. The problem with that is of course that women need to be part of the community and need to be part of this big project. Once we would leave, and the solar technology needed to be maintained, it falls on women’s shoulders to be the household managers of the utilities – whether it’s water, light, heat, fuel for cooking, those are all women’s responsibilities. And so as soon as the ‘coolness’ of this new technology fell off (and it kind of fell off right around the time the technology stopped working) then it became, “well, that’s her job to go brush the panel off.” There was just too big of a gap. […] And so in a lot of ways it was an easier first step of technology, which brought the technology and the women that much closer. And then the other huge factor was that it’s about a tenth of the price and so we could do so much more, and not only that but now it was in the price range that families could actually afford it. So instead of doing it in this philanthropic model, we could do it in a market-based model and then, if you’re going to do a market-based model, and the women are your customers, what’s the best way to reach that customer? Through a woman salesperson. And so then that’s what we developed as the Solar Sister model. It developed in this kind of stair-stepping, solving one problem at a time, the problem in front of us and realizing “well, we’ve solved that, what’s the next issue?” So it definitely was the result of a long process – it wasn’t like I had a moment one day, I woke up and said “Eureka!” and had this great idea, “do Avon solar lights in Africa, what a great idea!” It definitely wasn’t that. PDT: Because it is an unfamiliar technology, do you have a distribution or training system to help people if the technology breaks or doesn’t work, to get spare parts? I know at PDT, just because the opportunity is available for people to access contracts doesn’t mean that people are necessarily skilled in negotiating and navigating these large international contracts [training link]; do you have a training model for Solar Sister? PDT: That’s the way for it to be! SOLAR SISTER: -But as of now, this is the way it works: we work with women’s groups in their communities to provide us introductions to [2 or 3 ] women that they recommend to be strong entrepreneurial types. […] We provide them with a very simple basic training and we provide them with a business in a bag, which comes with the training, some marketing support, and the inventory that we size to be what they can sell in one month’s time. What we find is that if it’s a woman who’s really kind of got it as far as being able to be successful as an entrepreneur, we’ll hear from her, she’ll send us a text in a week or 3 days or two weeks, saying “okay, I’ve done that, now what?” […] What it allows us to do is focus on women who do really want to be businesswomen. And that’s our goal, to provide opportunity for women who really want it. We’re not there to force everybody across Africa to be an entrepreneur, entrepreneurs here in the United States or across Europe or wherever in the world, [are] a pretty rare breed, and what we’re looking for is to tease out who are the ones who really are suited to it and then invest in them and provide more training and more support so that they can really achieve their potential. After the one month sort of trial period, if someone has demonstrated this very sort of basic desire and inner drive to be an entrepreneur, we provide them with a full training. […] At that point we’re also able to address any challenges […] and do some troubleshooting and provide feedback based on real experience that they’ve had. […] Initially they sell sort of very basic products, but the entrepreneurs have the ability to really go as far with this as they want – to become solar engineers, if they want. For every ability that they demonstrate they’re ready for, we’ll match that with additional training and support, because that’s our goal: to see more women involved in this supply chain, and the further up that supply chain we can get them, the more successful I think we are at achieving our goal. 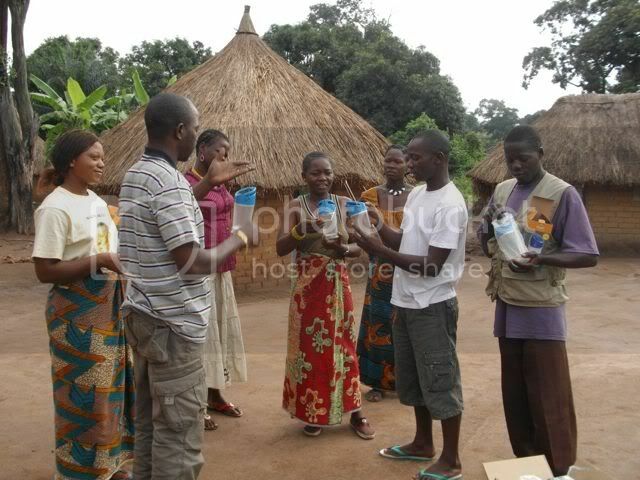 If they want to just stay simple – maybe she’s a teacher and she’s just using this as a supplement to her income and she just wanted to sell a few solar lamps to her students – that’s okay too. The benefit of this business in a bag is that it can be completely sized to fit the woman’s personal situation. PDT: That’s really interesting, I wasn’t aware that it ran that gamut; we were talking to Gayle Lemmon and she was mentioning [the trend of] keeping women in the microfinance bucket. It’s really great to see that there are opportunities for growth and also for remaining what they’re comfortable with in their community. You mentioned that the entrepreneurs would get feedback and help from you based on challenges that they faced. Have there been any challenges or failures you guys have experienced as an enterprise yourself, or questions you’ve struggled to address? SOLAR SISTER: I’d say the biggest one we’re struggling with right now is really a thing where I’m trying to open my mind. We were formed as a not-for-profit, and really came at this from my background working in a not-for-profit. [We’re] providing access to clean energy and then women’s empowerment, a dual mission platform, creating this last-mile access and giving women economic empowerment, and both of those are very strong missions that are the guiding principles of our business, really connecting women with technology. And yet the way we’ve answered the call to those two missions has created this market-based system because we feel like it’s the most effective way to actually address the issues and that we can scale on a market-based system in a way that we couldn’t possibly if we were just trying to address this from a philanthropic, how-much-money-can-we-raise-and-let’s-go-donate-that way. 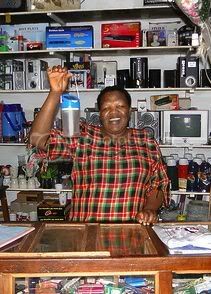 By having a market-based system where the women are actually becoming entrepreneurs and selling the lights, they are able to create a business. And what we’ve found is that we actually have a business. And this business can scale, and grow, so I’m looking at it thinking “why are we not for-profit? Maybe we should be a business,” and go at it from that angle, and so I guess my current grapping is our fundamental business structure. We are really straddling this not-for-profit mission orientation with a for-profit solution and I’ve done as much research as I possibly can on hybrids, and social enterprise, and blended-value organizations. It’s a really interesting development I think that people are dealing with more but it’s definitely not a clear path forward as to what’s the best solution. PDT: That’s a really interesting question because I think we’re starting to see more of that too. […] That reminds me, there’s business and non-profit, and then the role of government, as well. It’s been interesting to see the jump from no access to energy in rural communities straight to renewable energies, bypassing the traditional electricity grid. Do you see individuals purchasing their own sources of light and energy to be a sustainable way to combat energy poverty, or does there need to be some kind of systemic, universal effort? Do you think NGOs might be bypassing or filling a role that government might [be obligated to] fill? SOLAR SISTER: I think it’s going to have to be both/and. I think it’ll have to be top-down infrastructure as well as bottom-up grassroots solutions. In my background I was a project finance banker building power plants for 20 years, so I was dealing with the infrastructure answer to energy, and no modern country has really developed if it didn’t have access to modern electricity at a large scale, so it is fundamental to development for countries to have access to modern electricity, but there are countries that have demonstrated over the past 50, 60, 100 years that they don’t have a commitment to providing that infrastructure to their entire population. 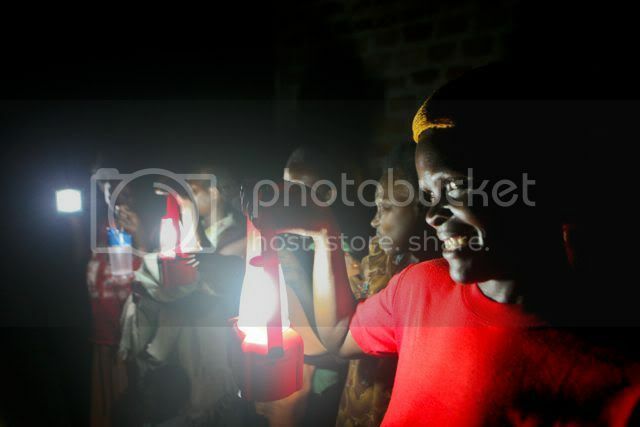 For example, where we’re working in Uganda, only 5% of the population has access to electricity off the grid. And even where there is talk of building infrastructure, building electricity plants that can address the needs, the investment that needs to happen in the grid, in the wires that take electricity from the plant out to rural areas, is huge. And I don’t think there’s political will in a lot of places, there’s not the capital in a lot of places, and there are barriers such as security, and distances and debt and economics that don’t make it economic to build out that transmission out to the people who need it in the rural areas. So I think distributed energy […] will always be a part of the mix. If you add in the cost, the true cost, of energy, not just the dollar cost but also the environmental cost of energy, then [you face] the fact that the developing world has so much need to develop energy, and that need needs to be filled with a blend of energy solutions. It can’t all be coal-fired, or as a planet we’re going to suffer. It’s not all going to be nuclear, or there’s security risks with that. It can’t all be hydro just because there’s not hydro everywhere to power energy, and that has its own environment cost. […] If you look at the real long-term solution, as a planet we’ve got to have a distributed and diversified energy solution, so the fact that we’re looking at, for example, solar and rural households is part of that diversified and distributed plan. PDT: Exactly. I know there’s a tremendous change you’re providing; communities that are stuck in energy poverty experience the tremendous benefits that having access to solar energy can provide. There’s sort of more conventional results that we’re aware of – students who are able to study more or harder because they have light sources at night – and I was just wondering what has been one of the most surprising results or stories that you’ve seen once people have access to this technology. SOLAR SISTER: I think one story that doesn’t get out there very much is the gender issue related to access to electricity. You mentioned students being able to study more when they have access to light, and that’s a tremendous benefit, because it’s a simple, simple thing but it truly does happen. I don’t know if you’ve ever tried to study above one of these kerosene lamps, but in about 10 minutes your eyes are killing you, it’s so smoky, and you have to hold the little lamp so close to the paper that it’s a huge fire hazard, smoke’s going right in your eyes, so after about 10 or 15 minutes you’re cutting it off, you’re just not going to do this, it’s not worth it. […] For the gender issue: after school, and we see this in Uganda where everybody has access to primary education, there is a strong tradition of education in the country, if you’re there in the afternoons you see the roads are just swarming with kids in their school uniforms on their way home. They get home, and the boys sit down and do their homework and the girls help their mother with taking care of the kids, going to fetch the water, going to fetch the vegetables from the garden for dinner, cleaning up after dinner, and then, after all that’s done, that’s when they get to study. The problem with that is, by then it’s dark – it’s right on the Equator, everything gets dark at 6:00, and so while the boys may have been able to get their studying done in the afternoon while there was still some light, the girls are using the kerosene lamps, and if the family has any issues with how long (because of the cost of kerosene) they may say “you can only use it for a short time,” or just because of the physical difficulty of trying to study by kerosene light they tend to not have as much time to study. So they don’t study, they don’t prepare for class the next day, they fall behind in school and then when you fall behind in school, school’s not as rewarding – they tend to drop out of school. The rate of boys and girls in primary school is what you would expect to see out of the population, [but] by the time you reach secondary schools, the dropoff rate of girls is quite high. And then university, the numbers drop off further. So it’s a very simple problem, but it’s one that, when you provide light and the girls are able to study with, it helps them stay up in school, stay in school, and then the repercussions of a girl getting additional schooling is just tremendous and multi-generational, so it’s a very simple thing. PDT: Exactly. We’ve noticed that Solar Sister has had a lot of success in getting some really deserved positive media coverage and [people have] good knowledge of the work that you’re doing, and I was just wondering what are some of the things you’ve done to make this successful and why people are really invested and interested in what you guys are doing. We’re always concerned with changing the narrative that exists around market-based solutions and presenting the realities of the people we work with, so I was wondering what your perspective on that would be. SOLAR SISTER: We have been really fortunate, and I think it’s because the story of empowering women and clean energy and providing women with technology and the benefits of that resonates with people. I think people really get the story. […] And also, it is both a philosophy of ours and again sort of a self-propelling decision that we made that our focus, to really tell the stories of success, and tell the stories of these women that are just incredible. They are. And they’re so much fun. When you meet the individual entrepreneurs and you’re just infected by their enthusiasm for what they’re doing, you can’t help but use those stories to share with everybody else. I mean, to give you a few examples, there’s the story of Grace, who became a Solar Sister entrepreneur and has really been encouraged by her partner Stephen, who is a counsellor in an AIDS camp. Between the two of them they have 10 children: 6 of them are his two brothers’ that they adopted when his brothers died of AIDS and 4 of them are their own children, and Grace and Stephen came to us and asked if Grace could be a Solar Sister entrepreneur. She’s been just tremendously successful […] and has more than tripled their family income, which means, as she tells it, “not only the boys but also the girls get to go to school.” That’s always the first thing that the new income is spent on is school fees, because it’s a big cash expense in their household. That’s a pretty amazing story, to know that you helped Grace and Stephen and they totally needed it and they’re so successful at it; she’s so enthused by her opportunity and it’s helping their kids to go to school, boys and girls. Then they sent me an invitation to their wedding, because what I didn’t realize was they weren’t married yet because they couldn’t afford to get married, because to get married it’s a whole celebration and you invite your friends, and they couldn’t afford to do that. So once they took care of the basic expenses of sending all the kids to school, then they’re like “okay, well what’s the next thing that’s important to us?” and it was getting married and celebrating that with their family and friends and so I have this awesome picture of Grace and Stephen and their ten kids all lined up in these little wedding jackets and they all have their white dresses and blue sashes on, and it’s like, that’s incredible, it’s such a great feel-good story. It’s really interesting where the money goes. It’s almost always first to pay school fees and one of the second expenses that happens is, I’ll hear the stories of they got their hair done. They went and got the beads, and the braids, and the extensions or something like this, which sounds kind of frivolous, but actually it’s an incredible testament of their wanting to lift themselves up in the way I think women traditionally have; when you’re feeling a little bit good about yourself or you want to show the world that I’m doing well, I’m making it. It’s fun, it’s nice to see these stories of really hope and opportunity, and that coming out of Africa it’s not all the despairing pictures. There are truly stories of tragedy, of course, and I don’t mean to paint a too-rosy picture, but I think the balance is that it’s a full life and there is hope and there is joy and there is a lot of energy and power and entrepreneurship, so we want to share those stories. PDT: And that’s monumental, you can’t help but get infected by that. Hi, this was a great read. I’ve been researching for awhile pertaining this topic and the info was great. Thanks!